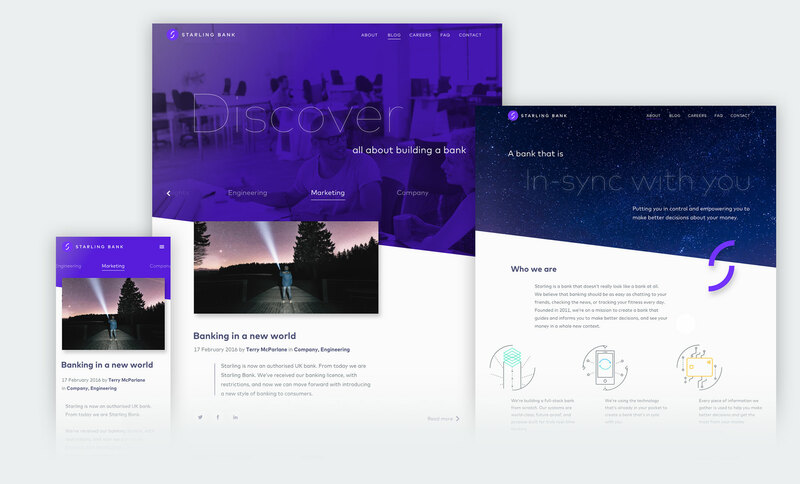 In pursuit of a brand experience that put customer needs at the forefront, our challenge was to understand how to balance the emotional and functional aspects of Starling. The brand experience is designed to be deferent and unobtrusive, whilst delightful moments are applied sparingly to engage users only when it matters. We created a brand mark that signifies the bond that holds Starling and the customer together. We brought this bond to life with animations that could be applied to various states in the app. 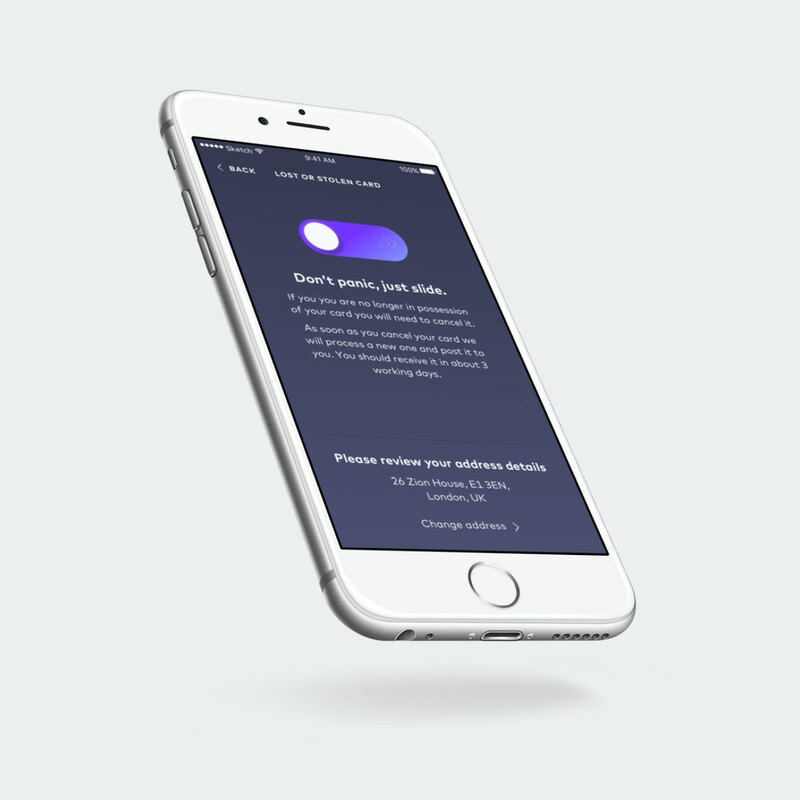 The animations are only used sparingly to avoid obtruding the user experience. 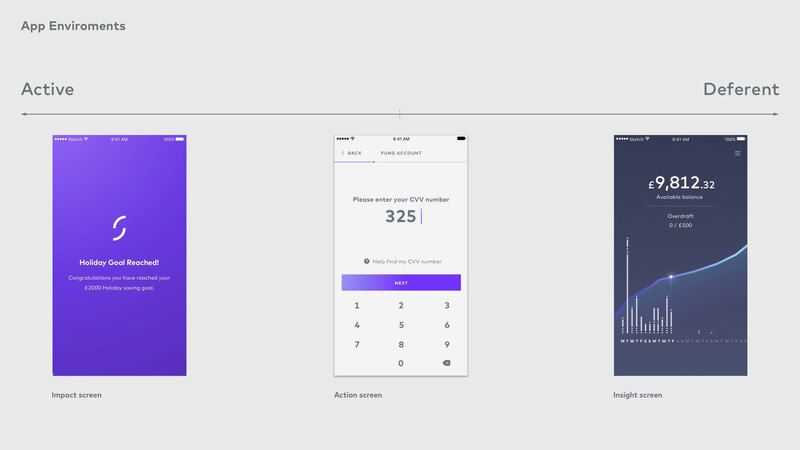 We prototyped each app screen using various tools like Principle, Pixate and InVision to find out the most appropriate way to apply animations. Achieving a goal is worth celebrating. But a dancing brand mark appears obtrusive. Informative and helpful but lacks emotion for the celebratory moment. Subtle motion conveys uplifting energy and strengthens the salience of the brand mark. We mapped out brand touch points and app experiences on a spectrum that indicates the emotional intensity of the moment. Design decisions for colour, typography, animation, interaction, illustration, as well as tone of voice where all guided by these maps. We mapped out in-app experiences on a spectrum from Active to Deferent to inform our design decision on the intensity of various types of experiences and functionalities. We also mapped out the frequencies of each type of experiences to prioritise our design effort. This offered the team a holistic view of the whole app experience. 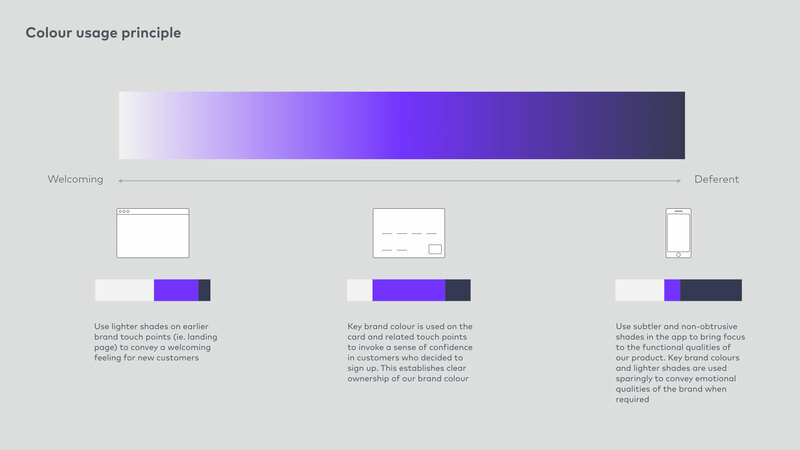 Our colour usage principles changes according to the type of touch point and where on the customer life cycle the touch point is located. Starling strives to deliver customer experiences that offers true insights without being obtrusive - like a sherpa guiding a mountaineer, who is always supportive but never gets in the way. 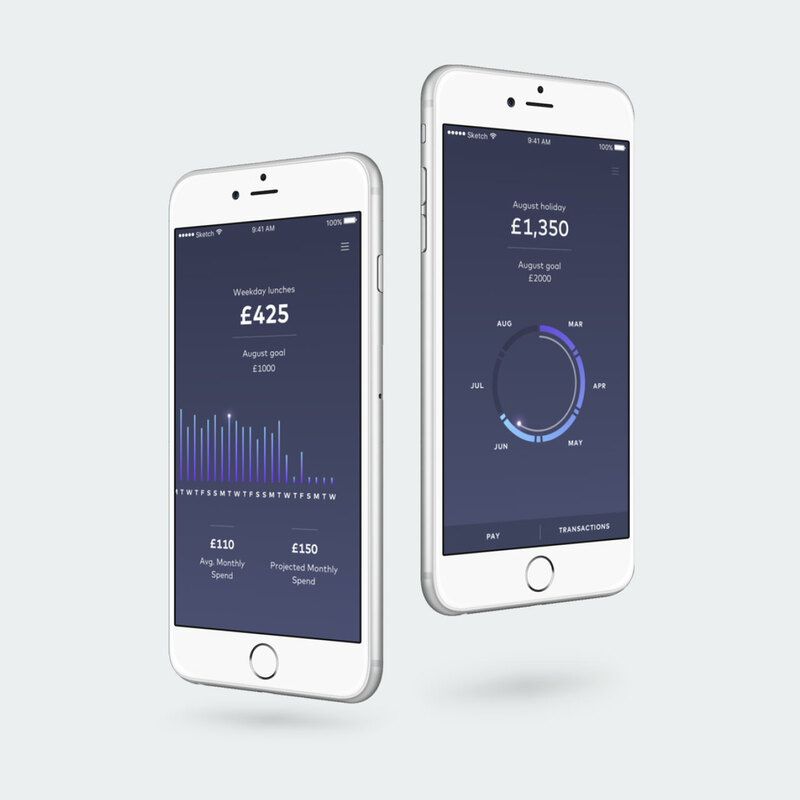 From product design to marketing, we made sure we stayed true to Starling's brand values. Real-time transactions tracking and analysis provides users helpful insights into how they spend their money. 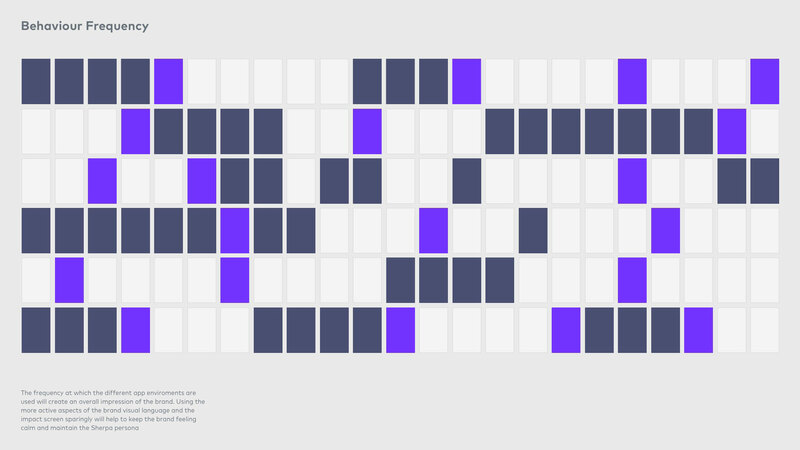 We applied Subtle animations make complex information seem engaging and easy to understand. Simple and direct control when a card is lost. We paid extra attention to the tone of voice in this moment to empathise with the customer’s emotional needs. Focusing on content, we took a deferent approach to the design of the marketing page. 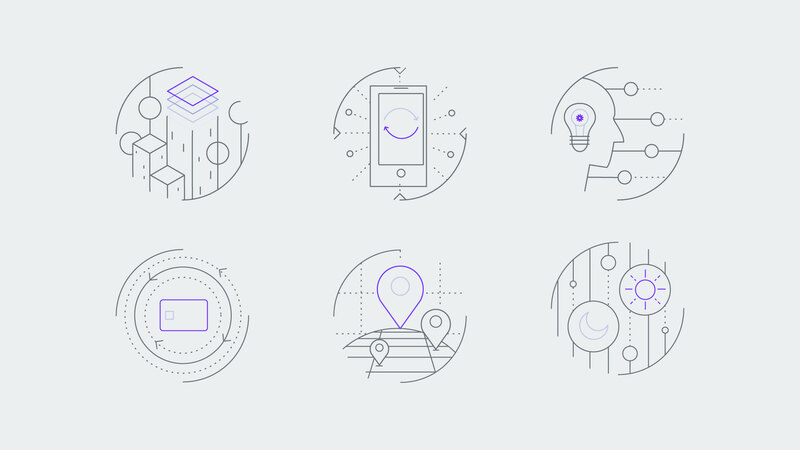 We also developed illustration assets to compliment brand messaging.